The emperor was at the top of the Japanese social order. He spent most of his days with ceremonial duties and gentlemanly pastimes. The emperor's movements were restricted and his contacts controlled. He was only permitted to socialize with the 140 courtly families that lived within the imperial precinct. 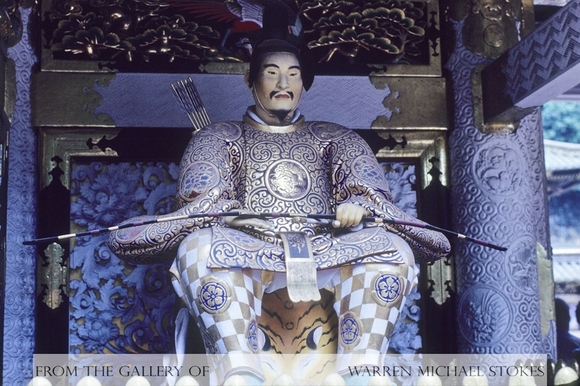 The emperor's life was so secluded that many foreign visitors in Japan were unaware of the emperor's existence, while others who were aware of his existence believed him to be some type of religious leader or pope. The Shogun (military general) of Edo was in charge of the country, and his administrators collectively were known as the bakufu. The bakufu carried out the shoguns' orders. The shogun government was largely a feudal military dictatorship. Directly below the shogun were the daimyo who ruled the 250 Han clans that made up the country of Japan. The Han were classified into two groups, the “fudai” and the “tozama.” Their classification was based on whether they had proclaimed their allegiance to the Tokugawa government before or after the Battle of Sekigahara. Tozama lords were not allowed to serve in the shogunal government. During the Tokugawa period, the government owned all of the territory within a day's march of Edo. The shogun owned more than a quarter of all cultivated land. He also controlled all major communication routes, sea ports, and the precious metal supplies. Before an individual could achieve daimyo status (feudal warlord) he would have to own or control enough land to produce 10,000 koku of rice. A koku was considered enough rice to feed an individual for a year. Over fifty estates produced more than 100,000 koku, and the very largest produced an astonishing 1,000,000 koku. More than 5,000 lords held the title “hatamoto” because they produced under 10,000 koku. However, this still entitled them access to the shogun. The daimyo were controlled by a system of spies. For the most part they were left alone, but major decisions like the building of roads, forts, and bridges were decided by the shogun. In addition, all marriages had to be approved by the shogun. The Tokugawa government kept tight control over their daiymo. They did this by requiring that the daiymo live in the capital city of Edo part of the year. The daiymo were expected to maintain a prestigious home in the capital city. The cost of maintaining two homes and staff for each home was very expensive. The shogun also required the daiymo to take specific routes from their estates to the city, at specific times. This was to prevent the smuggling of guns and hostages. Daiymo were routinely searched for weapons. Samurai were at the top of the social order because they protected Japan from attack and enforced its laws. Samurai were required to be both literate and proficient in arms. They were expected to be loyal, courageous, obedient, and frugal. Military skills were acquired by formal instruction. Until it was forbidden in 1663, many senior samurai committed suicide when their masters died. This act of total devotion, even occurred as late as 1912, when immediately following the death of Emperor Meji, General Noji took his own life. Largely, the samurai spent most of their time doing administrative work.